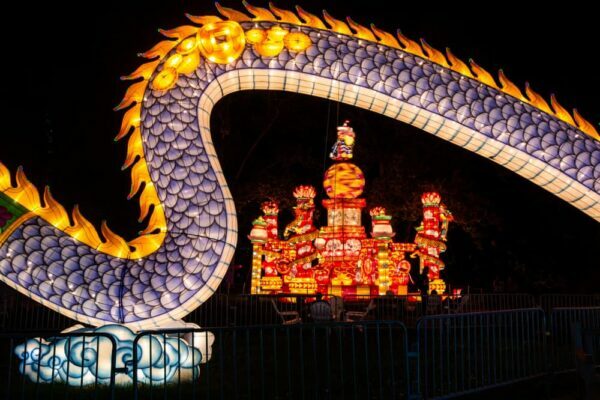 The Chinese Lantern Festival in Philadelphia, PA, is held each year in Franklin Square. 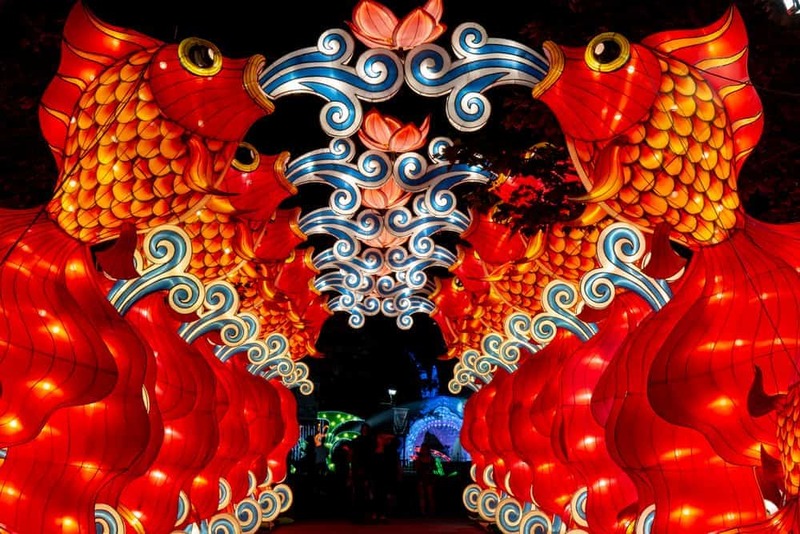 Begun in 2016, this festival showcases more than two dozen large Chinese lanterns and offers a great look into the culture of this amazing country. 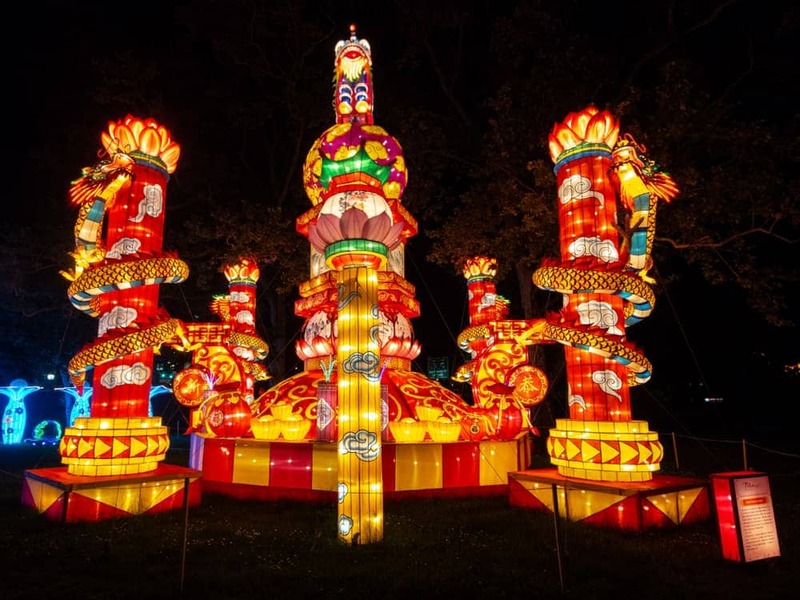 Having personally visited several lantern festivals in Asia, I can attest that the Philadelphia Chinese Lantern Festival is amazingly well done and offers an authentic look into these great cultural events. 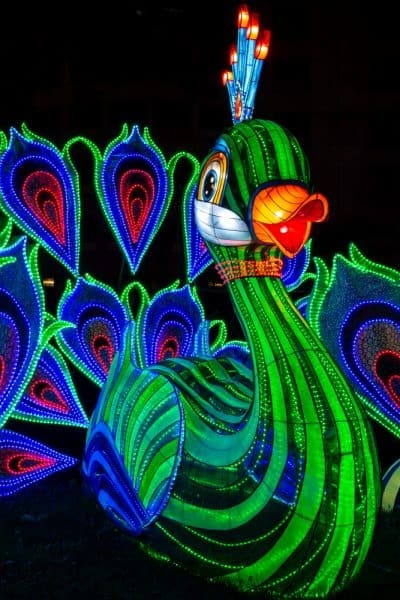 Updated February 7, 2019, for the Chinese Lantern Festival in 2019. 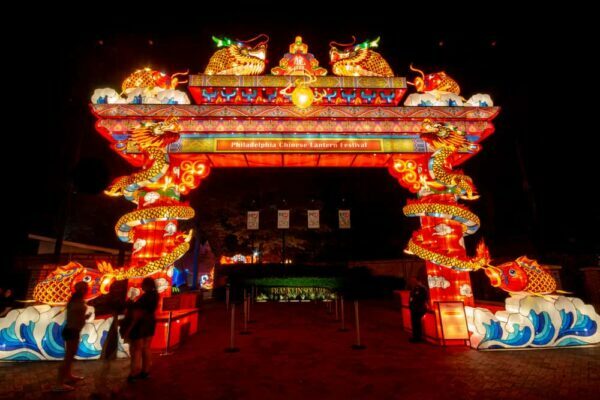 The entrance to the Philadelphia Chinese Lantern Festival on the eastern side of Franklin Square. 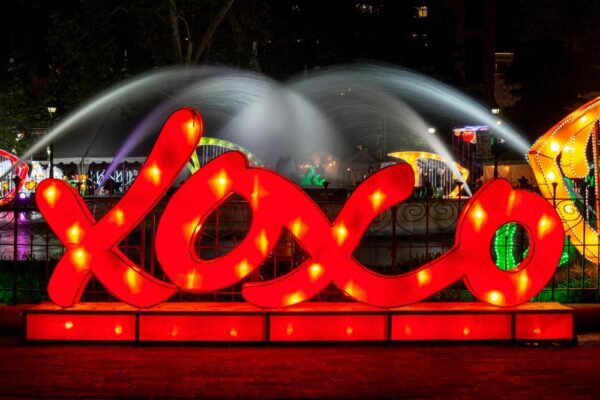 The Chinese Lantern Festival in Philadelphia comes to life after dark as the lanterns begin to glow. 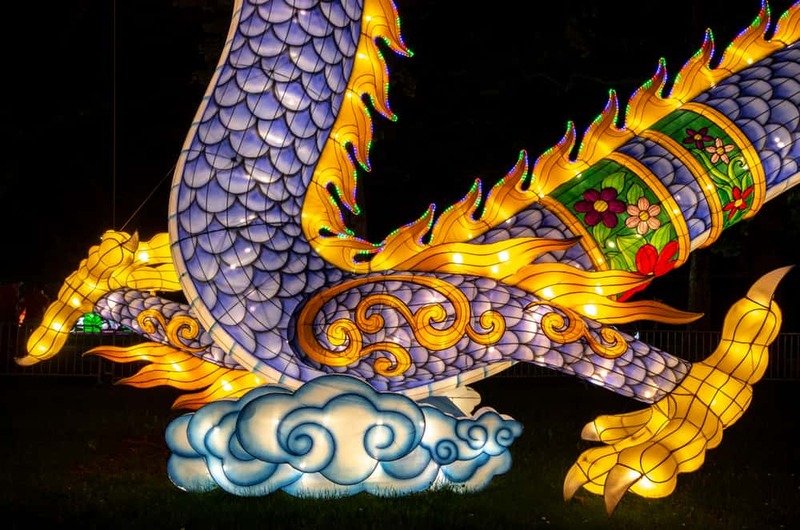 The highlight of the festival in 2018 was the 200-foot dragon. 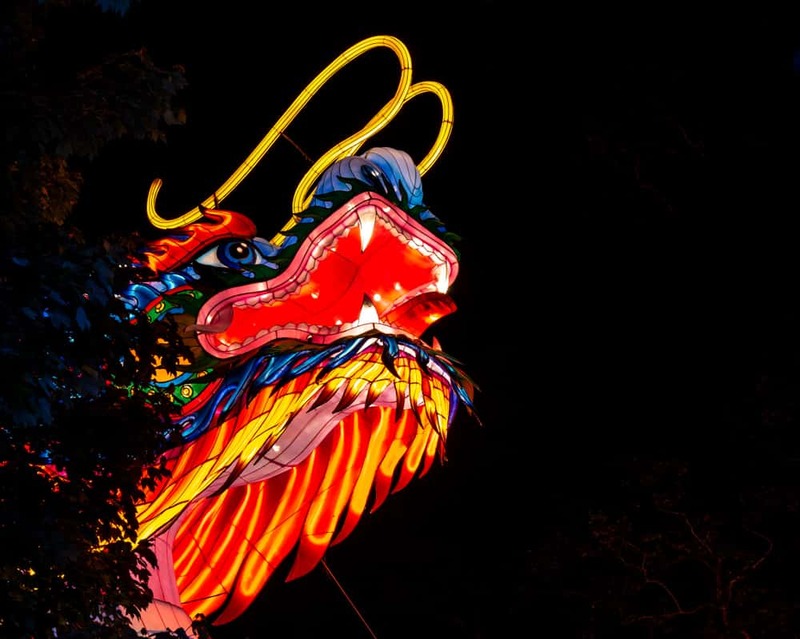 Dragons are popular imagery in Chinese culture and seeing such an imposing lantern is both beautiful and impressive. For 2019, the dragon will be replaced with a 200-foot phoenix. The 200-foot dragon is the highlight of the festival. The festival in 2019 featured 28 different lanterns 1,500 different artworks and utilizes 15,000 LED lights. These pieces of artwork were all quite large including several large tunnels that visitors walk through. Looking through the dragon’s tail towards another Chinese lantern. Many of these pieces rotate out each year. 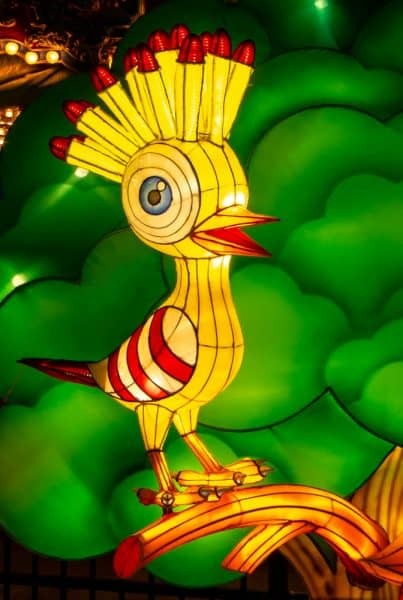 In fact, only two of the lanterns on display in 2017 returned in 2018. 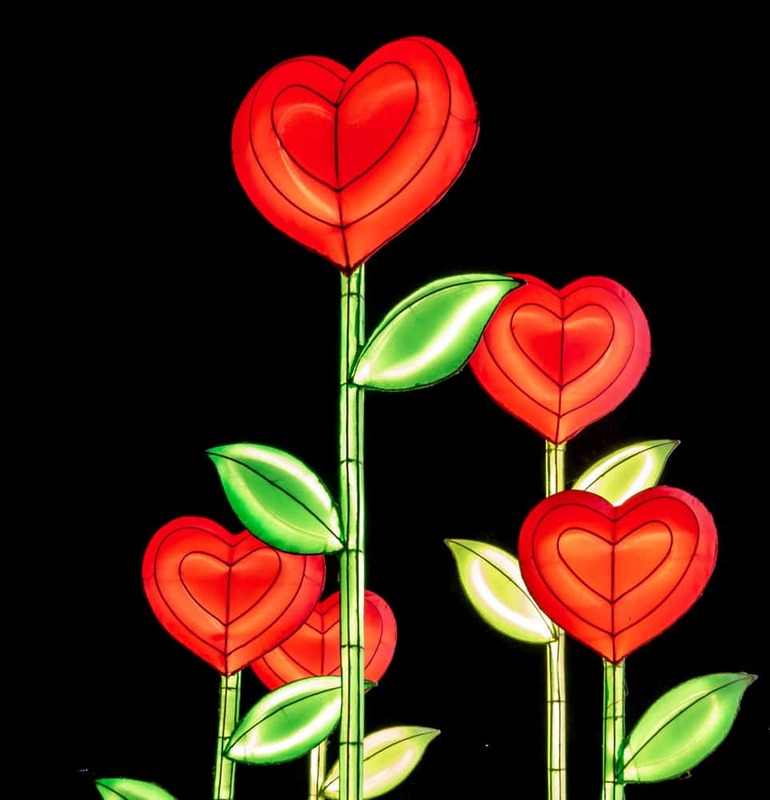 In 2019, all of the lanterns will be different than the year prior. 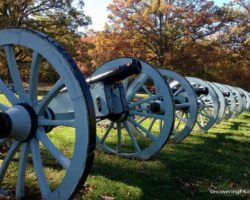 So, if you’ve visited in the past, it’s well worth taking the time to visit again. 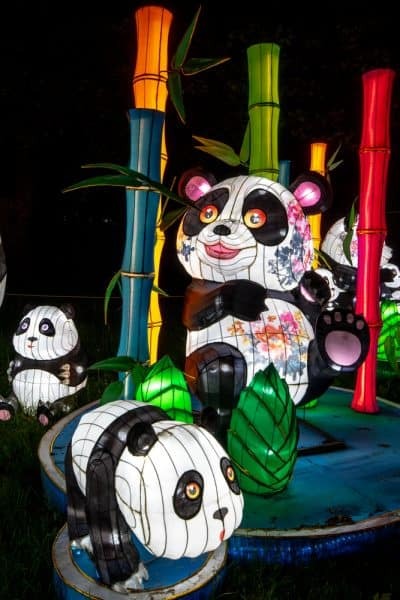 The panda lantern is one of only two that returned from 2017. 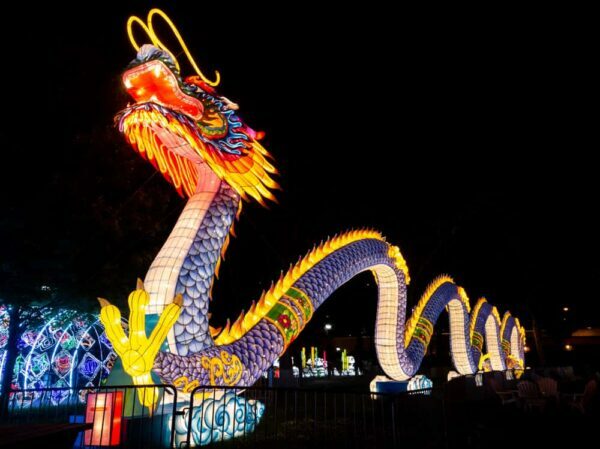 The Chinese Lantern Festival in Philly also features live performances from Chinese performers. 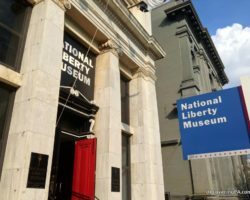 Two shows are held Monday through Thursday and three are offered Friday through Sunday. Make sure to plan your visit around the show times to make sure you see these great artists at work. The first of several lantern tunnels at the festival. 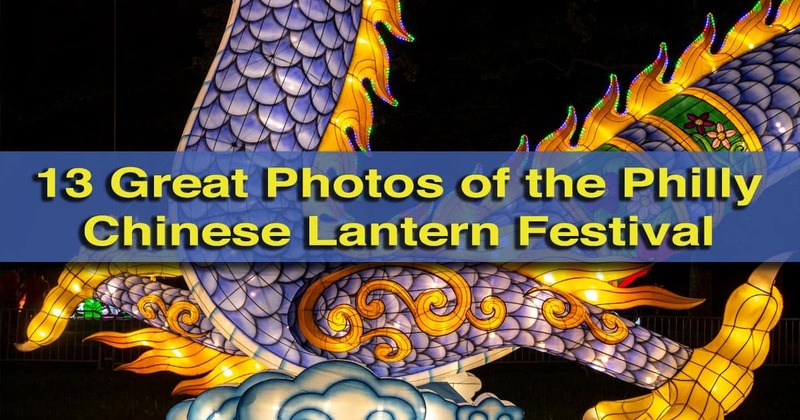 I also enjoyed the variety of food available during the Philadelphia Chinese Lantern Festival. Square Burger, which has a permanent stand in Franklin Square, offers several Asian themed dishes during the event. There are also several pop-up vendors offering a variety of Asian (not just Chinese) dishes. Visitors can also sip both local and Asian beers and Asian-inspired cocktails at the festival’s beer garden. Overall, I’d highly recommend a visit to the Chinese Lantern Festival in Philadelphia. Even one of Philly’s famous symbols makes an appearance at the festival. In 2019, the festival is held nightly in May and June. It will be open from 6-11pm nightly. 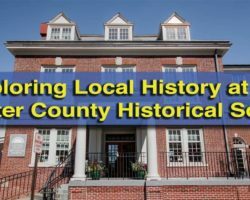 Due to the festival’s popularity, timed tickets are required on Friday and Saturday nights. If you can’t visit in the evening or just have a passing interest in seeing the lanterns, the park is open for free during the day. While seeing the lanterns lit up is well worth paying the price of admission, they are still neat to see during daylight hours. If you’re looking for something to do after the festival, take a stroll through nearby Chinatown. The lights and atmosphere of this area of town really come out at night, and it’s almost like taking a trip to Asia without leaving Philadelphia. A close-up shot of the dragon’s mouth at the Chinese Lantern Festival. 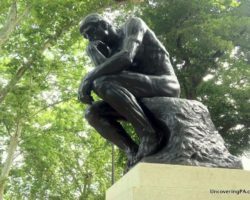 If you can, visit on a weeknight, not only is it less crowded, but you’ll save a few dollars on your ticket costs and don’t have to worry about arriving at a certain time. 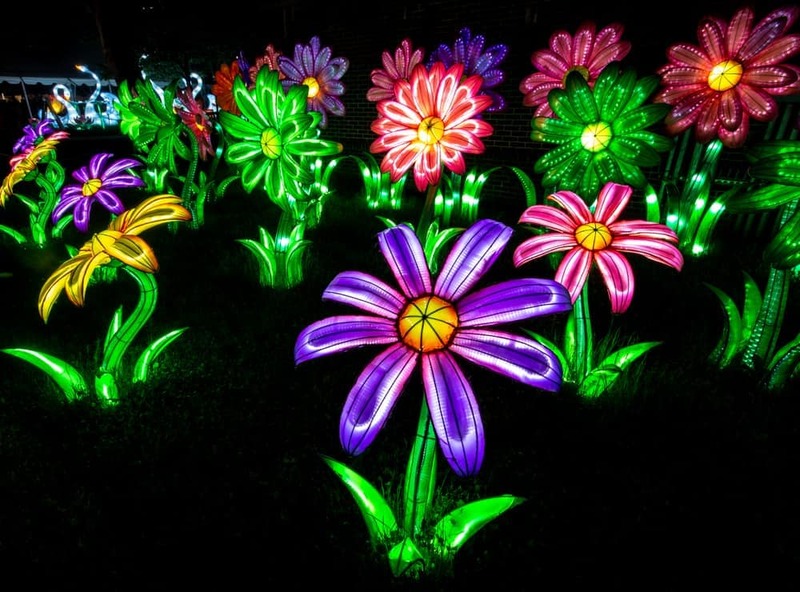 For more information or to purchase tickets for the Philadelphia Chinese Lantern Festival, visit the festival’s website. Still not convinced? 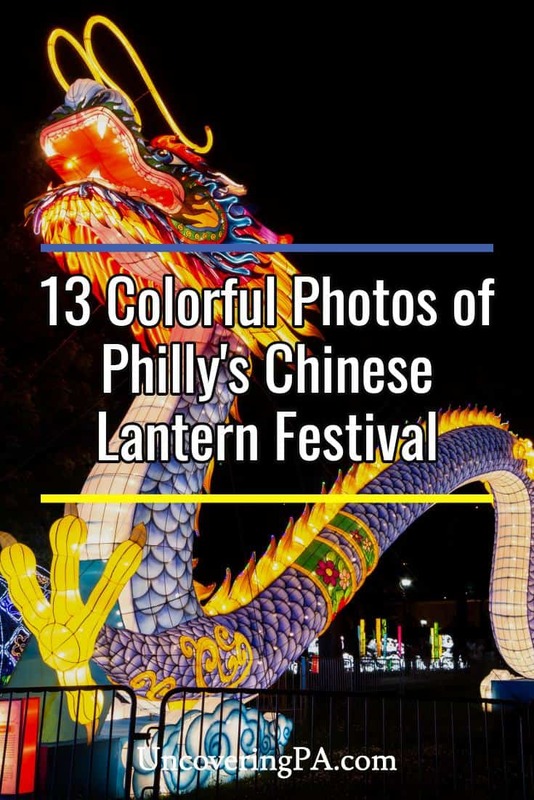 Scroll down to see even more photos of the Chinese Lantern Festival in Philly. Looking for more? 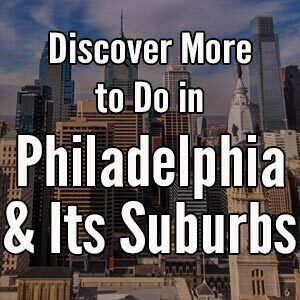 Check out our favorite things to do at Christmas in Philly, our favorite breweries in Philadelphia, and the best places to get an authentic cheesesteak. Note: My visit to the Philadelphia Chinese Lantern Festival was hosted by the event. However, the opinions expressed are my own. One word: stunning! Is this done every year? They have done it every year for the last few. I hope it’s continued in the future as it is quite amazing.